Steven is Deputy Vice-Chancellor (Research) at the UCO and Editor in Chief of the International Journal of Osteopathic Medicine. In addition to his academic and clinical work, Steven has twice been a member of National Institute for Health and Clinical Excellence (NICE) Guideline Development Groups formulating clinical guidelines for back pain and sciatica. He led the large Clinical Risk Osteopathy and Management (CROaM) study which examined adverse events and outcomes related to osteopathic interventions. 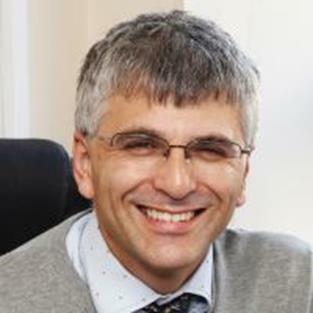 His main research interests focus on back pain, clinicians’ beliefs and attitudes and more recently, reassurance, communication and consent, safety and manual therapy, patient reported outcomes, self-management rehabilitation strategies used in practice with people with low back pain, and the effects of cognitive and affective reassurance. Vogel , S., Draper-Rodi, J. (2017). The importance of pilot studies, how to write them and what they mean. International Journal of Osteopathic Medicine, 23, 2-3. Draper-Rodi, J., Vogel, S., & Bishop, A. (2016). Impact of an e-learning programme on the biopsychosocial model for non-specific low-back pain on experienced osteopaths’ attitudes to back pain: A mixed-methods study. Manual Therapy, 25(6), e167–e168. Vaughan, B., Moran, R., Tehan, P., Fryer, G., Holmes, M., Vogel, S., & Taylor, A. (2016). Manual therapy and cervical artery dysfunction: Identification of potential risk factors in clinical encounters. International Journal of Osteopathic Medicine, 21. Vogel, S. (2016). Osteopathy - a complex business. International Journal of Osteopathic Medicine, 19. Holt, N., Pincus, T., & Vogel, S. (2015). Reassurance during low back pain consultations with GPS: A qualitative study. British Journal of General Practice, 65(639), e692–e701. Vogel, S. (2015). Evidence, theory and variability in osteopathic practice. International Journal of Osteopathic Medicine, 18(1). Vogel, S. (2014). Results, solutions, and learning: The continuing maturation of osteopathy. International Journal of Osteopathic Medicine, 17(3). Pincus, T., Holt, N., Vogel, S., Underwood, M., Savage, R., Walsh, D. A., & Taylor, S. J. C. (2013). Cognitive and affective reassurance and patient outcomes in primary care: A systematic review. Pain, 154(11). Konstantinou, K., Hider, S. L., Vogel, S., Beardmore, R., & Somerville, S. (2012). Development of an assessment schedule for patients with low back-associated leg pain in primary care: A Delphi consensus study. European Spine Journal, 21(7), 1241–1249. Vogel, S., (2013). Adverse events and treatment reactions in osteopathy. International Journal of Osteopathic Medicine 13; 3: 83-84. Konstantinou, K., Beardmore, R., Dunn, K. M., Lewis, M., Hider, S. L., Sanders, T., … Hay, E. M. (2012). Clinical course, characteristics and prognostic indicators in patients presenting with back and leg pain in primary care. the ATLAS study protocol. BMC Musculoskeletal Disorders, 13. Pincus, T., R. Santos, and Vogel S., (2012). The Attitudes and Beliefs of Clinicians Treating Back Pain: Do They Affect Patients’ Outcome?, in From Acute to Chronic Back Pain, M. Hasenbring, M. Rusu, and D. Turk, Editors. 2012, Oxford University Press: Oxford. p. 405-415. Parsons, S., Harding, G., Breen, A., Foster, N., Pincus, T., Vogel, S., & Underwood, M. (2012). Will shared decision making between patients with chronic musculoskeletal pain and physiotherapists, osteopaths and chiropractors improve patient care? Family Practice, 29(2). Daniels, G., & Vogel, S. (2012). Consent in osteopathy: A cross sectional survey of patients’ information and process preferences. International Journal of Osteopathic Medicine, 15(3). Froud, R., Eldridge, S., Kovacs, F., Breen, A., Bolton, J., Dunn, K., … Underwood, M. (2011). Reporting outcomes of back pain trials: A modified Delphi study. European Journal of Pain, 15(10). Pincus, T., Woodcock, A., & Vogel, S. (2010). Returning back pain patients to work: How private musculoskeletal practitioners outside the National Health Service perceive their role (an interview study). Journal of Occupational Rehabilitation, 20(3), 322–330. Vogel, S. (2009) NICE clinical guidelines. Low back pain: The early management of persistent non-specific back pain. International Journal of Osteopathic Medicine 12; 4: 113-114. Rusu, A. C., Vogel, S., Van der Merwe, J., Pither, C. and Pincus, T. (2009). Testing the schema enmeshment model of pain (semp): cognitive biases, depressed mood and future thinking in chronic pain. European Journal of Pain 13; Supplement 1: S139-S139. Zamani, J., Vogel, S., Moore, A. and Lucas, K. (2008) Exploring the use of exercise therapy in UK osteopathic practice. International Journal of Osteopathic Medicine 11; 4: 164-164. Gosling, C., Moran, R., & Vogel, S. (2008). Attitudes towards research in Australian and New Zealand osteopaths. International Journal of Osteopathic Medicine, 11(4), 154–155. Vogel, S., & Herrick, R. (2008). Service delivery characteristics of UK osteopaths – a cross sectional survey. International Journal of Osteopathic Medicine, 11(4), 153. Zamani, J., Vogel, S., Moore, a., & Lucas, K. (2008). Exploring the use of exercise therapy in UK osteopathic practice. International Journal of Osteopathic Medicine, 11(4), 164. Parsons, S., Harding, G., Breen, a, Foster, N., Pincus, T., Vogel, S., & Underwood, M. (2007). The influence of patients’ and primary care practitioners’ beliefs and expectations about chronic musculoskeletal pain on the process of care: a systematic review of qualitative studies. Clin J Pain, 23(1), 91–98. Parsons, S., Breen, A., Foster, N. E., Letley, L., Pincus, T., Vogel, S., & Underwood, M. (2007). Prevalence and comparative troublesomeness by age of musculoskeletal pain in different body locations. Family Practice, 24(4), 308–316. Zamani, J., Vogel, S., Moore, A., & Lucas, K. (2007). Analysis of exercise content in undergraduate osteopathic education - A content analysis of UK curricula. International Journal of Osteopathic Medicine, 10(4), 97–103. Carnes, D., Parsons, S., Ashby, D., Breen, A., Foster, N. E., Pincus, T., Vogel S., Underwood, M. (2007). Chronic musculoskeletal pain rarely presents in a single body site: Results from a UK population study. Rheumatology, 46(7), 1168–1170. Pincus, T., Foster, N. E., Vogel, S., Santos, R., Breen, A., & Underwood, M. (2007). Attitudes to back pain amongst musculoskeletal practitioners: A comparison of professional groups and practice settings using the ABS-mp. Manual Therapy, 12(2), 167–175. Pincus, T., Vogel, S., Santos, R., Breen, A., Foster, N., Underwood, M. (2006). The attitudes to back pain scale in musculoskeletal practitioners (ABS-mp): the development and testing of a new questionnaire. The Clinical Journal of Pain, 22(4), 378–86. Pincus, T., Vogel, S., Breen, A., Foster, N., Underwood, M. (2006). Persistent back pain - Why do physical therapy clinicians continue treatment? A mixed methods study of chiropractors, osteopaths and physiotherapists. European Journal of Pain, 10(1), 67–76. Pincus, T., Vogel, S., Burton, A. K., Santos, R., & Field, A. P. (2006). Fear avoidance and prognosis in back pain: A systematic review and synthesis of current evidence. Arthritis and Rheumatism, 54(12), 3999–4010. Parsons, S., Carnes, D., Pincus, T., Foster, N., Breen, A., Vogel, S., & Underwood, M. (2006). Measuring troublesomeness of chronic pain by location. BMC Musculoskeletal Disorders, 7(1), 34. Vogel, S., Dear, J., & Evans, D. (2005). The UK BEAM trial - A review and discussion. International Journal of Osteopathic Medicine, 8(2), 62–68. Grundy, M., & Vogel, S. (2005). Attitudes towards prescribing rights: A qualitative focus group study with UK osteopaths. International Journal of Osteopathic Medicine, 8(1), 12–21. Evans, D. W., Foster, N. E., Underwood, M., Vogel, S., Breen, A. C., & Pincus, T. (2005). Testing the effectiveness of an innovative information package on practitioner reported behaviour and beliefs: the UK Chiropractors, Osteopaths and Musculoskeletal Physiotherapists Low back pain ManagemENT (COMPLeMENT) trial [ISRCTN77245761]. BMC Musculoskeletal Disorders, 6, 41. Pincus, T., Williams, A. C. D. C., Vogel, S., & Field, A. (2004). The development and testing of the depression, anxiety, and positive outlook scale (DAPOS). Pain, 109(1–2), 181–188. Nash, K. and Vogel, S. (2002) Developing research at The British School of Osteopathy. Journal of Osteopathic Medicine 5; 2: 87-88. Foster, N. E., Pincus, T., Underwood, M., Vogel, S., Breen, A., & Harding, G. (2003). Treatment and the process of care in musculoskeletal conditions: A multidisciplinary perspective and integration. Orthopedic Clinics of North America, 34(2), 239–244. Pincus, T., Burton, A. K., Vogel, S., & Field, A. P. (2002). A systematic review of psychological factors as predictors of chronicity/disability in prospective cohorts of low back pain. Spine (Phila Pa 1976), 27(5), E109-20. Langworthy, J. M., Breen, A. C., Vogel, S., & Collier, R. (2002). Chiropractic and the national health care system: A basis for partnership in the UK. Journal of Manipulative and Physiological Therapeutics, 25(1), 21–33. Pincus, T., Vogel, S., Savage, R., & Newman, S. (2000). Patients’ satisfaction with osteopathic and GP management of low back pain in the same surgery. Complementary Therapies in Medicine, 8(3), 180–186.